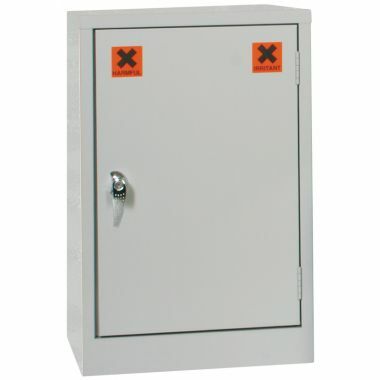 Virtually every UK workplace is obliged to follow regulations relating to the control of substances hazardous to health (COSHH). 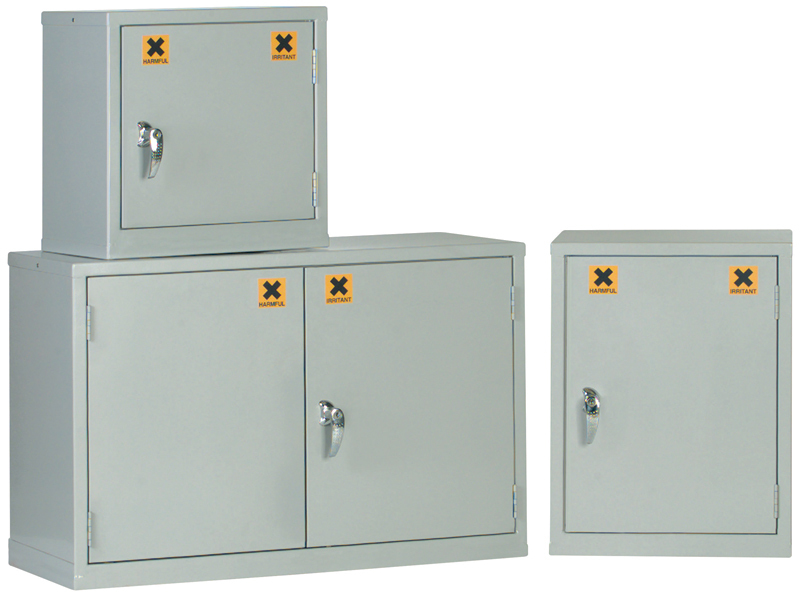 At Supertuff Europe, we offer a range of professional quality COSHH cabinets that are used to safely and securely store these potentially harmful chemicals. 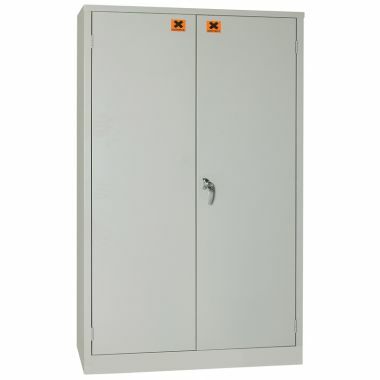 From mini cube-shaped cabinets to the larger double door variants, we are confident to have something that will meet your individual requirements. 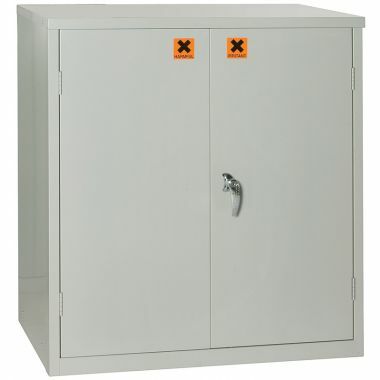 The COSHH cabinet range is manufactured in the UK using high quality steel before a powder coating is applied for a more lasting and hygienic finish. 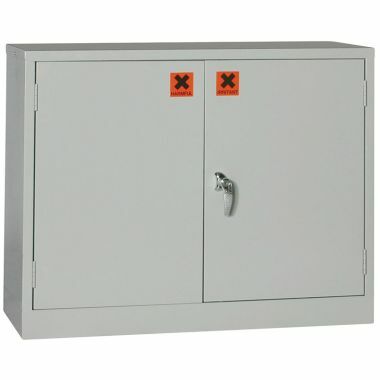 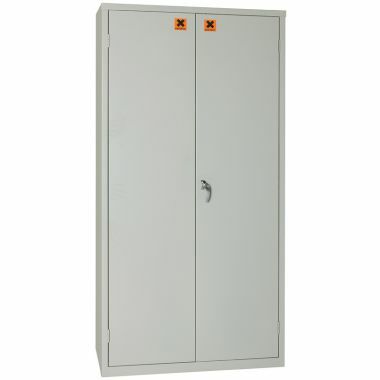 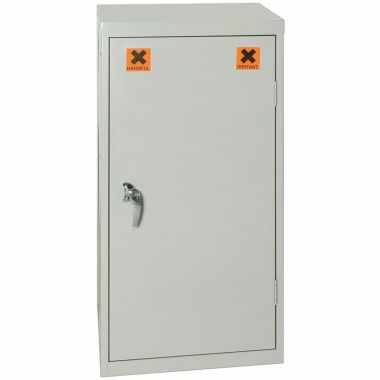 Conforming to health and safety executive guide GSG51 and DSEAR 2002, users can be confident that these cabinets are compliant and will reduce the risk of injury. 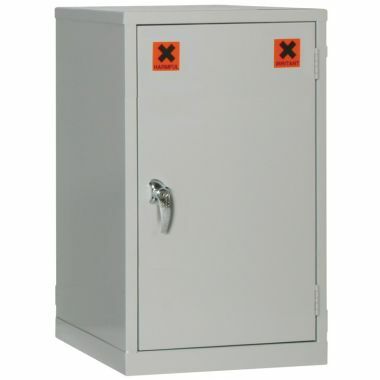 All of the doors are reinforced with steel stiffeners and are securable using a key operated lock to prevent unauthorised access to the contents.The inclusion of an integrated sump base also prevent any spillages from leaking into the surrounding environment.